Scenic land in a unique river valley setting is available to purchase in north central Arizona. Located in a gorgeous, secluded valley, these parcels of land for sale are only eight minutes from State Route 93. The property is loaded with wildlife like deer, javelina, rabbit, quail and other Arizona species. 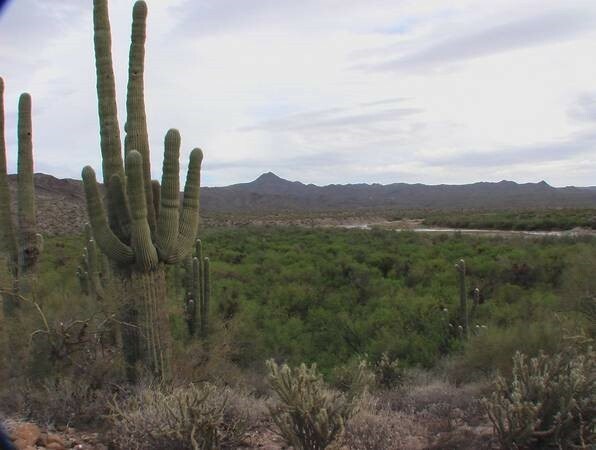 Just two hours from Phoenix, AZ this affordable land for sale features The Big Sandy River which passes right through this ranch land creating a rare river front setting for development of an organic farm, corporate retreat or spa and wellness center. This property features dramatic and panoramic views from the high hillsides which makes these parcels of land a superb custom home setting. These parcels of land for sale are located next to the river which make this an ideal custom ranch house location with pasture land and corrals overlooking the river valley. At the base of the foothills are mature mesquite trees which could be developed into a secluded RV Park or horse facility. 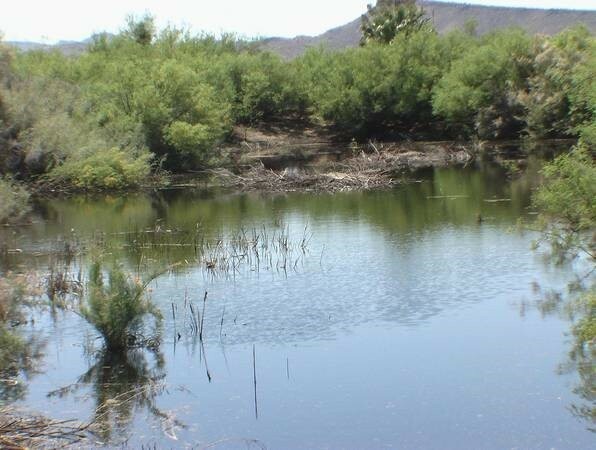 The Big Sandy River flows most of the year and this abundance of water available from the river and shallow veils makes this land for sale near Phoenix, AZ a valuable find and the perfect setting for a variety of development projects. 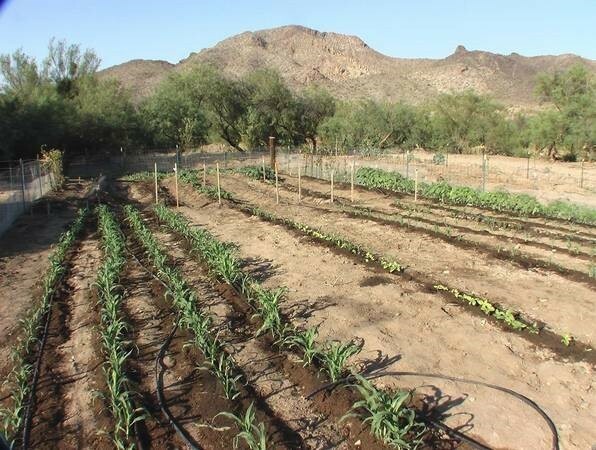 If you’ve dreamed about developing your own organic cattle farm, building a corporate retreat, a spa or wellness center on a beautiful parcel of land in Arizona – we have the land for sale! These perfect land parcels for sale are only a few hours from Las Vegas, and one hour and 45 minutes from Sun City in northwest Phoenix metro area and only 1.75hrs from Bullhead City. The property for sale in Mohave County can accommodate a 5,200ft private runway for a fly in landing strip if larger portion of the ranch is purchased and there are priority surface water rights available at an addition cost. In a unique river valley setting these parcels available from AZ Ranches and Resorts are perfect if you want to develop your own property in Arizona. If you’re looking for residential land for sale near Prescott, Arizona you won’t want to miss out on these parcels available in up-and-coming Paulden, Arizona. Paulden is located just 35 minutes from Prescott, Arizona, and Prescott is only 60 miles south of Sedona. The available land for development is ideal for horse property, ranch property, organic farming, or even a hunting lodge retreat. 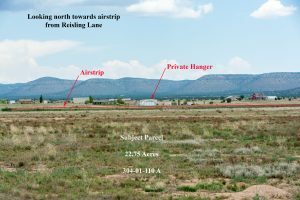 These land parcels for sale near Prescott, AZ have access to a private airstrip with 5,000 feet of runway which is FAA approved. This is one of the larger Prescott residential runaways in Arizona. With grandfathered airstrip rights you can build a hangar in your backyard! Residential runway property is a unique feature of this land for sale which is only half an hour from downtown Prescott. If residential air land strip is important to you when looking for land to build on, then you’ve found the right place, right here in Paulden. Located near Williamson Valley and Chino, Arizona these land parcels for sale are perfect if you’re looking to build your dream home near an airstrip and you are able to own more land with less money in Paulden than you can in other areas. Prices have skyrocketed in Prescott and Chino, but there are affordable lots for sale in Paulden. Your money will go further and you’ll be able to own more land in Paulden than you would if you were to build in Prescott or Chino. Paulden is both scenic and affordable and the acreage can be developed for your specific needs. If you’re looking for access to an airstrip and want to build an airplane hangar on your own property, then you can’t beat these special 2-acre parcels from AZ Ranches and Resorts.